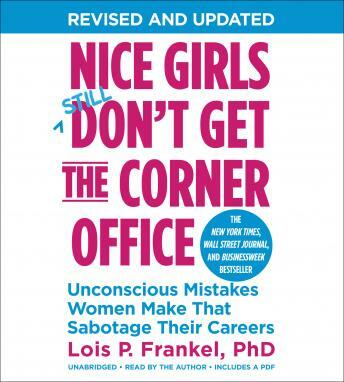 Before you were told to 'Lean In,' Dr. Lois Frankel told you how to get that corner office. Good Book. A lot of great tips, but also I felt it was a little loaded with a bunch of affiliate marketing loaded content. With every mistake, we were referred to a new book. The content was good but felt like it was much similar to a lot of books already read and repeated. I would like to see this book with a little less "read this book, download this template, go to this website and purchase x" I also feel like the 48 laws of power covered a lot of what was already in this book.